Appraiser in Atlanta - Georgia - featuring expert Appraiser in Atlanta. Appraiser in Atlanta - real estate appraiser, real estate appraisal, and appraisals in Atlanta for residential real estate. Appraiser company in Atlanta offers appraisers in Atlanta, Georgia including all surrounding metro areas. Featuring your Appraiser in Atlanta. 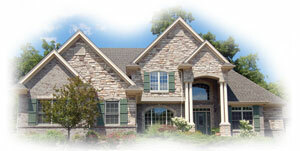 Offering experienced Appraiser in Atlanta, we strive to be a one-stop to find an appraiser in Atlanta. Here you can order an appraisal, see our appraisal service area, check tips for faster appraisal turn around times, keep up to date on your appraisal status and generally access the latest information in the appraisal industry. As an honest appraiser in Atlanta we publish our prices for different types of real estate appraisals, so there are no surprises. We offer many types of appraisal services, including URAR, 2055 interior and exterior, 2065, 2075, Condominium, Rent Schedules, Operating Income Statements, Finals, 2-4 Residential Units, Land Appraisals, and FHA Appraisals. Experience Matters. Don’t just pick a name out of the phone book in Atlanta, or even the greater Atlanta Georgia area. We have been in <?xml:namespace prefix = st1 ns = "urn:schemas-microsoft-com:office:smarttags" />Atlanta as an real estate appraiser for the last 23 years, and will be here for the next 23 years serving your as your appraiser in Atlanta. Contact information for your appraiser in Atlanta outside of this appraiser in Atlanta site include the office phone (770) 313-2376, the fax line (770) 592-0610, the second fax (770) 592-7883 and of course the web site at Appraiser in Atlanta - GHA. To order an appraisal online go to Appraiser in Atlanta - GHA Order Online. Appraising in Atlanta. This appraiser in Atlanta is a board certified appraiser. We are licensed by the Georgia Real Estate Appraiser Board and can appraise any type of residential real estate in Atlanta up to and including million dollar homes or a quadraplex with no dollar limit.